By seedmaya, July 15, 2011 in Let It All Hang Out! I searched and didn't find anything that answered my question, but if it's here somewhere feel free to point me to it and delete this thread. Anyway, I'm looking for a Troy Polamalu jersey, but I know pretty much nothing about NFL jerseys and I don't want to support the fakers if I can avoid it. I also don't want to spend a ton, which doesn't make it any easier. There's lots on eBay, but I was hoping someone here might be able to tell me what to look for to avoid the bad fakes and make sure I get something decent. Or maybe there's a good site out there that sells real jerseys at a reasonable price, since there seem to be a few good ones for NHL jerseys and I'd imagine they're probably less popular. Anything anyone can offer on the subject would be great. Thanks guys! I would suggest buying a blank and getting it done somewhere. Steelers fan? I'm disappointed. Where should I get a blank done? 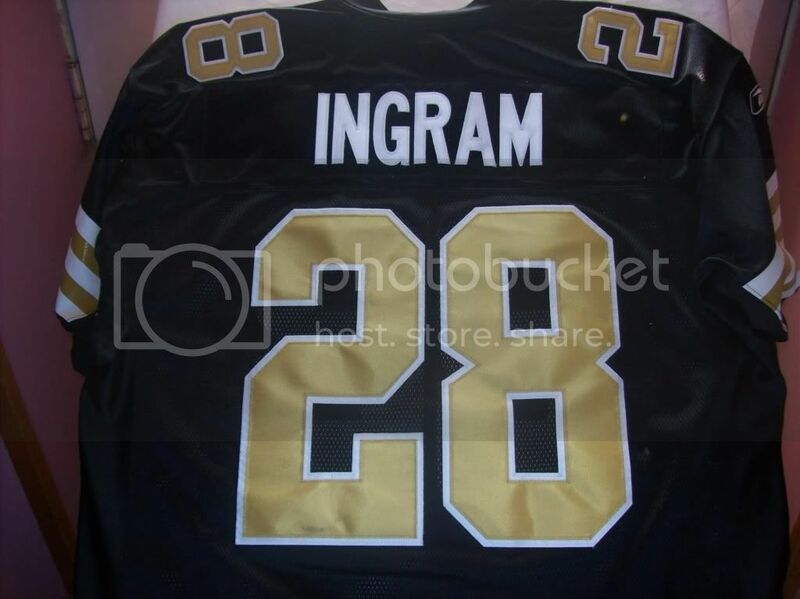 Do any of the hockey letterers do NFL jerseys as well so I can combine? Not really a Steelers fan, although they're the "local" team to where I am. I'm just a Polamalu fan, he seems like a great guy and I don't know how you can't love his hair. I'd rather get a USC jersey or something that's not the Steelers, since I really don't like the rest of the team, but I need something to wear on Fridays during football season so I can get my free lunch! 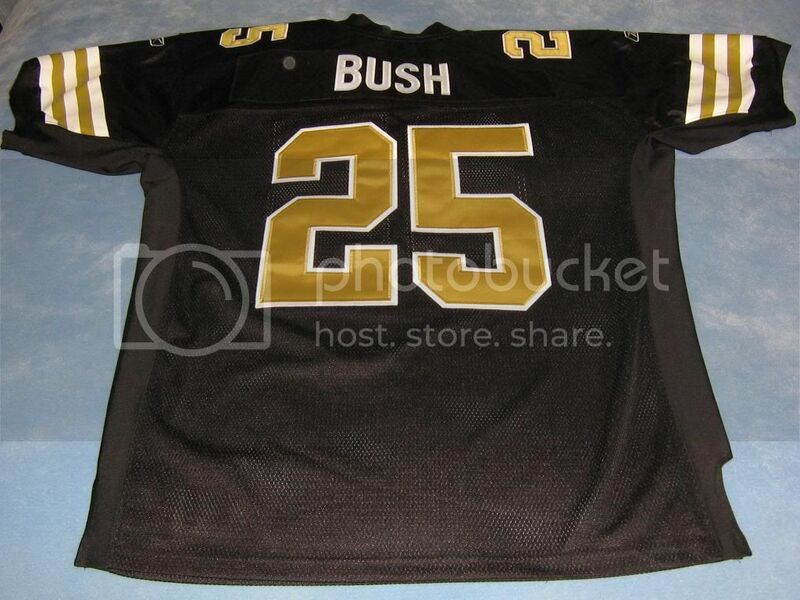 With the current lockout AND NFL jersey licensing issues, there's NO WAY to get a blank NFL jersey customized. At least LEGALLY. EPS won't do them, SportsK won't, and all the other lettering places. It may be a while now for the NFL and the licensing rights to get restored. So Seedmaya, your best bet is to find one on ebay or on Jersey Central. There is a seller on the bay called Full Moon Jerseys, who sells discounted authentics, which really are authentic. I can vouch for Full Moon...good stuff. No bangin' on Troy...he's about all I have left as a Steelers fan. I expect to find out that he operates a vast network of meth lab franchises any day now. All I can say is I HOPE he is fully healthy for the upcoming season (if there is one). Well, spotting a fake isn't as hard as a NHL jersey, you just need to know were to look. If the numbering is wavy, or the detailing isn't good. Another way of spotting a fake is at the length of the jersey, if it's too long, it's defiantly a fake. Is there any site that you are aware of that is the NFL version of icejerseys? 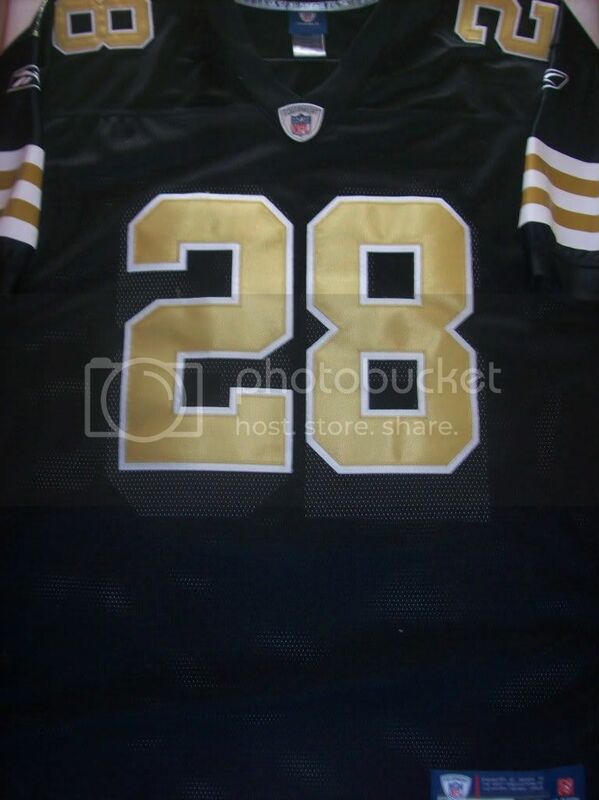 If you see a New Orleans Saints jersey without pockets for bounty money and listening devices, it's a fake. Ok, I need a bit of help. I think I may have been had on a jersey I picked up from a legit seller on eBay. That's not to say that the jersey I got is fake, I know it's not, but instead of being an authentic game-weight jersey, it is what I believe to be a replica weight premier jersey with sewn twill. Maybe I'm wrong, but maybe somebody here can help me. The jersey in question is a Vietnam-made Drew Brees Saints throwback alternate, and the collar and cuffs are definitely a lighter weight than my Korean-made Reggie Bush Saints away. Favorite Jersey(s):Sweden Pre-Swift. Nordiques. IIHF throwbacks. etc. Premier's don't have numerical sizing nor the elastic sleeves (cuffed?) but at least seem to have been available ... don't know if they even sold the authentics though (still have to find that out, you would assume so at least ...$$$ ). Looks exactly like what I have. That's good to know, makes me feel better. I believe this is a fake. anyone vailidate this for me and why. Is it still true that Captains patch = fake on NFL jerseys? I know that was the case a while back. A quick google search didn't show me any legitimate places to buy the patches loose, nor could I find any legitimate retailers selling jerseys with the patch already on. But I didn't search extensively. Super Bowl and captains patches are not sold to the public but certain places can make replicas of them. It is very likely that a jersey sold with a patch is a fake or a real jersey with a replica patch. JC use to have a page on this type of info. FIFA or some sort of soccer league does the same thing. Yeah, NFL jerseys with any kind of patches are fake. I know there's a company that actually makes the patches for the NFL to put on the gamers, and I know they sell them on eBay once in a while, but I forget the name and JC is gone so I can't find out. Maybe somebody else knows. Regardless, 99% of NFL jerseys with any kind of patches are fakes. I just saw a guy with NFL captains' patches on ebay the other day .. just can't remember his name and I was at work when I found it. They are rare, but some do hit the market. Patched gamers also hit the market through NFL auctions which can lead to NFL patched jerseys working their way to the 'bay making blanket statements about "fake" dangerous. 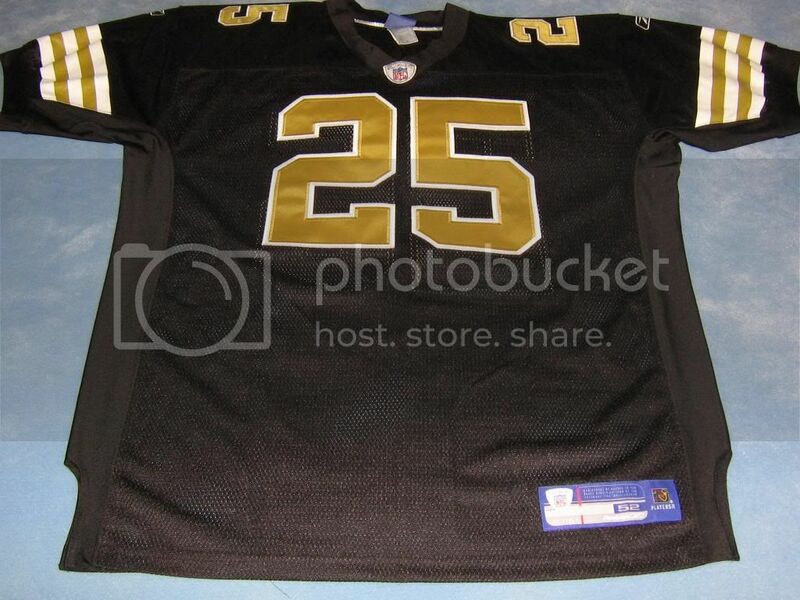 There are plenty of garbage repros on eBay and they were never retailed so 99% of jerseys that have them are fake. Anyone have any Steelers authentics they want to sell or trade? I just got this jersey which I'm planning to sell. I think it's a game issued Rick Mirer Seahawks rookie jersey, but because I'm not 100% sure. Can someone here help me out? You can infer that but without any sold proof, really, who knows? You can find stuff like that blank all the time, slap some numbers on it and boom. Ive bought and sold tons of team issued dolphins gear (including jerseys). Thrift shops are littered with it. That is an awesome jersey by the way. Thanks for the input brandon, I think I'm gonna sell it as a team issued jersey then. Dibs on the Aaron Hernandez Massachusetts State Penitentiary-Issued.